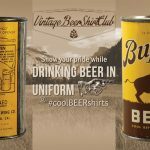 Contrary to what you might think, Buffalo brand beer was not named after the animal on its label. Nor was it named after the city in which it originated. 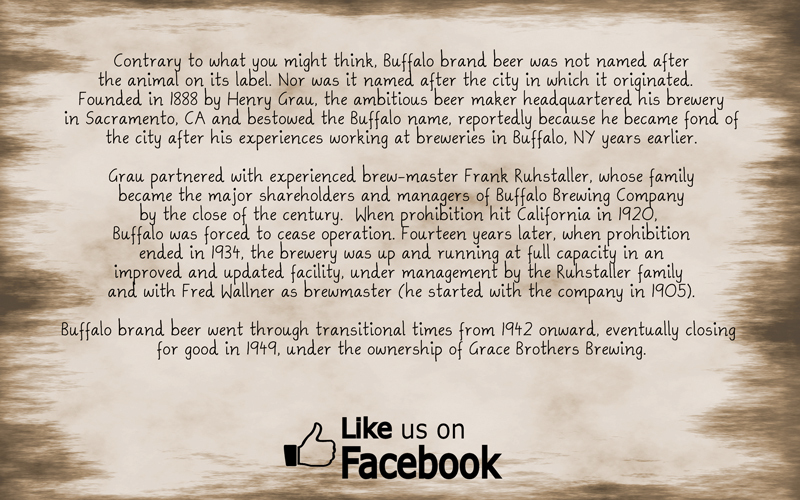 Founded in 1888 by Henry Grau, the ambitious beer maker headquartered his brewery in Sacramento, CA and bestowed the Buffalo name, reportedly because he became fond of the city after his experiences working at breweries in Buffalo, NY years earlier.Grau partnered with experienced brew-master Frank Ruhstaller, whose family became the major shareholders and managers of Buffalo Brewing Company by the close of the century. 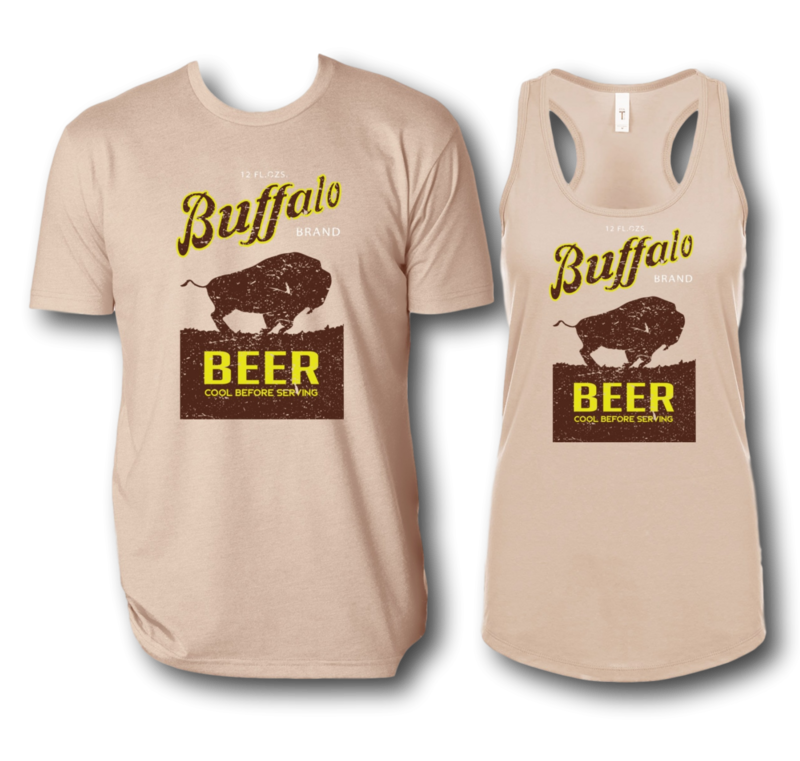 When prohibition hit California in 1920, Buffalo was forced to cease operation. 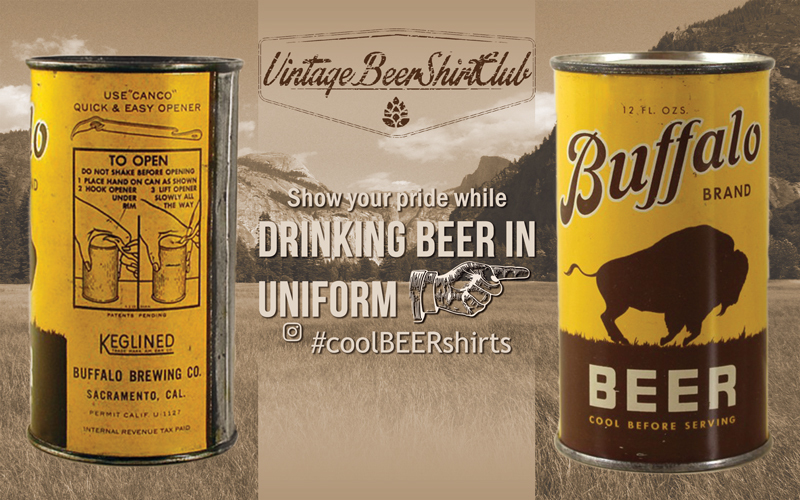 Fourteen years later, when prohibition ended in 1934, the brewery was up and running at full capacity in an improved and updated facility, under management by the Ruhstaller family and with Fred Wallner as brewmaster (he started with the company in 1905). 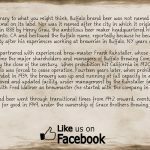 Buffalo brand beer went through transitional times from 1942 onward, eventually closing for good in 1949, under the ownership of Grace Brothers Brewing.